Left: The Mechanical Olympics sign that all participants wear while playing. Right: An Olympian donning the sign while fencing. 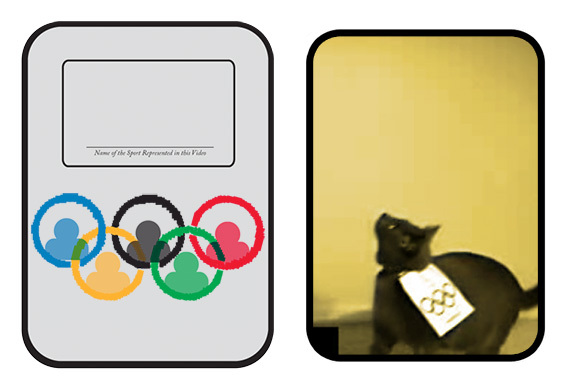 Download the Mechanical Olympics sign, write the name of the sport that you are representing, and make sure your actor(s) wear the sign during his/her performance. Create a video between 30 and 60 seconds in length. You can perform any sport. We’ll ask you to let us know which sport you’re interpreting on the submission form. Upload your video to YouTube.com. Use the submission form to enter the competition. Voting is as simple as pressing the “Like” button on any video included in this year’s playlist.